After the Gulf war, there was a need for a peaceful co-existence between people from different cultures and religious backgrounds, which led to the conception of the Fes Festival of World Sacred Music. The United Nation has regarded the event as one of the seven most important peace promulgation platforms in the world. Any musical gap is filled as people are entertained to Indian classical music, Judaic sacred music, Sufi devotional songs, Spanish gypsy songs, and many more. This festival was designated by the United Nations in 2001 as one of the outstanding events that contributed in a remarkable way to the dialogue of civilizations. 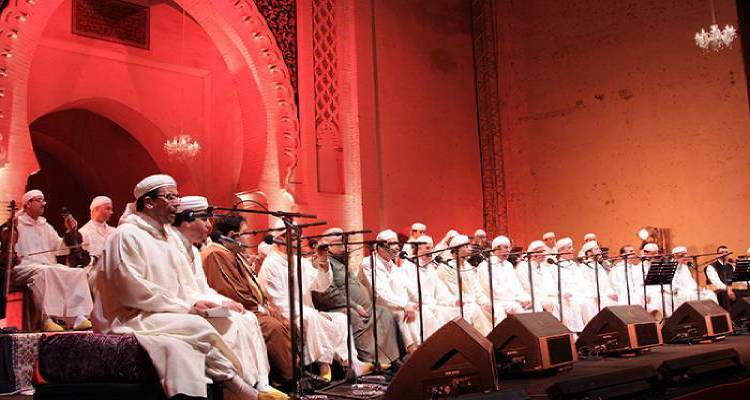 The festival has both paid and unpaid musical performances at various spots in the spiritual city of Fes like Batha Museum, which is an ideal Fes attraction, Bab Boujloud and the Bab Al Makina. Afternoon concerts were held in the Jnan Sbil Gardens. Big evening concerts were held at Bab al Makina, the open-air parade ground in front of the Royal Palace. Free concerts were held each evening at Boujloud Square, close to Bab Boujloud. Nights in the Medina concerts (Monday, Tuesday and Wednesday) were held in smaller venues including the music conservatory Dar Adiyel, Sidi Mohamed Ben Youssef Cultural Complex and the Ibn Danan Synagogue in the Mellah. Sufi Nights at 23h00 were free of charge and were held at Dar Tazi ). The Fes Forum: Held on the first three mornings of the festival, this took place at the Prefecture Hall in Batha, opposite the Batha Museum.